Graham’s design influences come from both the natural world and the materials, finishes and robust surface fixings used across the businesses of the Strata Group. The moth appears in both its true and avionic forms morphing throughout to highlight its Lepidopteran beginnings and engineered ‘Jason’ form. Designer, Graham Fisher collaborated with artist, ::Si2:: to create the moth. He hopes it will inspire the next generation of engineers and naturalists. ::Si2:: is one of Hull’s best known and most celebrated graffiti artists. His work can be seen on urban and industrial canvases throughout the UK where they bring humour, comment and light to often mundane and dull landscapes. ::Si2:: has over 20 years of active bespoke experience ranging from his well-known Apex Predator characters to large technical private and public commissions which all display his limitless imagination. 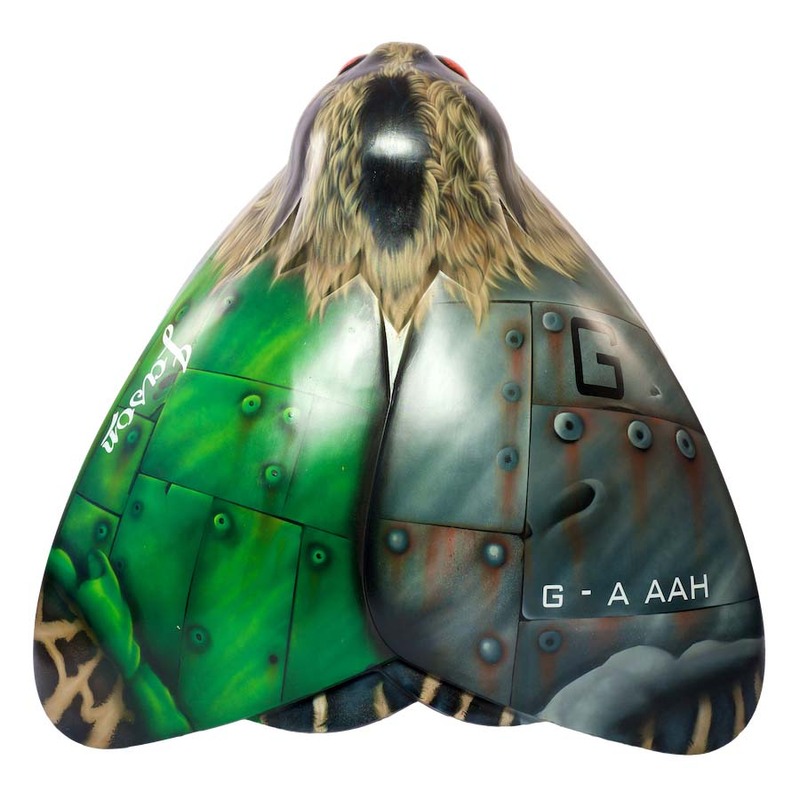 Whilst ::Si2::’s speciality is usually large scale, surface-based work, the artist described the chance to work with Graham’s design, his Strata team and the Amy Johnson Festival as too much of an opportunity to miss. The Strata Group is home to some of the most innovative manufacturing, supply and installation companies within the UK. Having grown and developed through strategic purchase and continual inward investment, the company now provides multiple sectors and markets with a wide variety of construction related products and services.